The magazine I’m writing the article for is Non Sport Update. That’s the June/July issue at the right. This one should be on the stands for another week or so, and it includes my article on Stranger Things, plus an interview with Saint Albans Native, Joe Chrest, who plays Mike’s dad on the show. 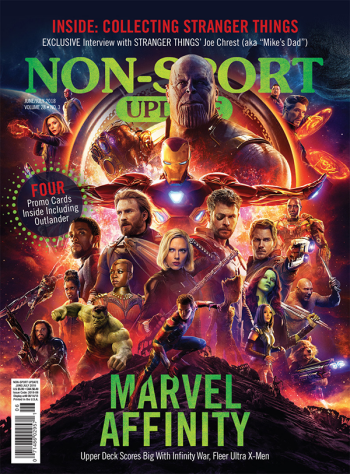 A couple of weeks after this magazine hit the stands, Topps announced that they will be releasing Stranger Things trading cards, which would have been really wonderful to know about back when I was writing the piece about the show for the nation’s leading non-sport trading card magazine. Because this summer has been so hectic, I have forgotten to plug this issue until now. In about a week, the next issue of Non Sport Update, which includes my article on Star Trek Captain’s Log trading cards should be out. The piece I’m working on now won’t be out until October. That’s how magazines work, you know. Anyway, that’s why there’s no new radio shows today, and probably tomorrow. Luckily, the stuff in our vault is so fantastic that it all bears repeated listenings. 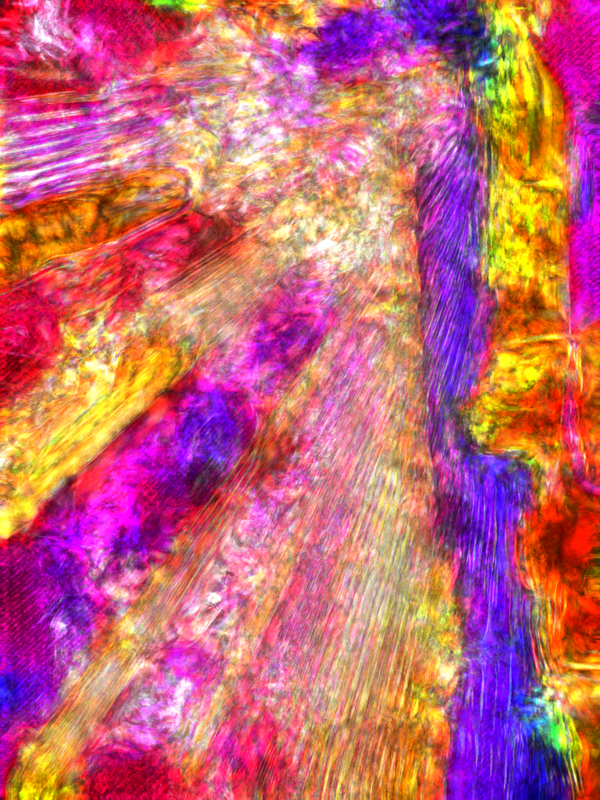 This week we wrap up our month-long series of semi-abstract digital paintings with Cascade, yet another exquisitely excessive digitally-assaulted photograph that bears little resemblance to its source photo. I don’t usually like to play favorites with my work, but of this latest batch, this one’s my favorite. Cascade started life as a photo of the bookshelves in McKay’s, as seen in the photo essay in last Friday’s PopCulteer. Many whacks at it via the computer later, it’s sort of a volcanic waterfall…or lavafall, as it were . As always, click the image to see a larger version. I said I wasn’t going to make a video of this year’s Kentuckiana GI Joe Toy Expo in Louisville, Kentucky, which wrapped up yesterday. I didn’t want to get anyone’s expectations up. It took me over a month to find the time to finish my videos for Marx Toy Convention and our side-trip to the Marx Toy Musuem, so I didn’t want to commit to getting any video completed anytime soon. Heck, I haven’t even finished writing about my trip to the last official GI Joe Convention in Chattanooga last month, and I didn’t shoot any video there at all. Basically, with Radio Free Charleston still on hiatus, I’ve lost a bit of my confidence in my ability to shoot, edit and post video at the insane pace to which I became accustomed. I’m enjoying going to things as a civilian without recording everything I see for eventual use here in PopCult. Having said that, yesterday I turned Mel loose with the video camera and told her to just shoot stuff that looked cool. I took still photos, except for the video of remote control classic Batmobile, which I will tell you more about in this blog later. I didn’t do any stand-ups or intros. I just cut everything to one of YouTube’s handily-provided pieces of stock music, and made a little video record of how much fun we had. Sometime in the next week I’ll post a photo essay with words and links and stuff, but for now, here’s this music video to give you a taste of the Fifth Annual Kentuckiana GI Joe Toy Expo. From late September, 2011, we bring you this special episode of Radio Free Charleston which was a major departure from our normal format. This show is a documentary following the 2011 revival of the Dan Kehde/Mark Scarpelli musical, Jack The Ripper. Produced by The Contemporary Youth Arts Company, this daring and complex piece of musical theater was pulled together in less than six weeks. Included in the show are interviews with Dan and Mark, intercut with “fly-on-the-wall” footage from the rehearsals leading up to opening night. We also dug into our archives and included footage of the original production from 2008, starring Ryan Hardiman. This is rare video that had never been seen by the general public before. 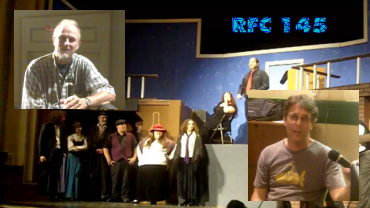 In this episode of RFC you will see the newer incarnation of the show come together from on-book readings at local churches to the building of the set to the final blocking and staging during tech week. It’s a look inside the creation of a unique original work in the Charleston, WV theater scene. Some of this show was recorded as late as one day before it was originally posted online. We managed to get this show finished and online in time to promote the opening of the show later in the week. I spent several weeks attending rehearsals with my camera, shooting loads of Cinéma vérité footage of the cast and crew preparing for their big night. Almost seven years later, it’s cool to have a record of the hard work that went into this production. So more than a month after the fact, after being buried under unexpected work and falling victim to the perils of procrastination and power outages, your PopCulteer is finally ready to tell you about his late-June trip down South to attend the final Official GI Joe Collector’s Club Convention. A little history first: Years ago, before I was writing PopCult, and right after I had lost my gig as the action figure columnist for Toy Trader Magazine (we were bought up and merged with the inferior Toy Shop Magazine, who offered to pay one-tenth of what I was getting from Toy Trader), Brian Savage, the man behind Fun Publications–the company that ran the Official GI Joe Club and staged the annual conventions, hired me to contribute to MasterCollector.com. I was basically writing the same column that I did for Toy Trader, and had fun doing it. One of the perks of writing for Toy Trader was that I would have been given complimentary attendance at the annual GI Joe Conventions. These were huge gatherings, sanctioned by Hasbro, and it would have been really cool to get to go to one. But if you remember your PopCulteer history, this was during the time when I was taking care of my mother following her massive stroke. 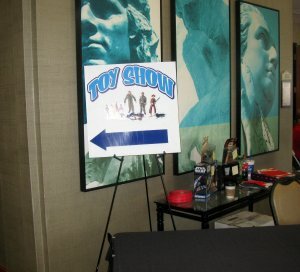 As her primary caregiver, I couldn’t even consider traveling to a toy show. I was housebound for nearly nine years, and right after that my aunt asked me to help take care of my uncle, which curtailed my travel for an additional eight years. But Brian and the club were very generous, sending me the expensive 12″ GI Joe convention figures for years…even after the time that I was unable to continue writing for them. I think they sent me six convention sets after I’d turned in my last assignment. These sets usually ran close to three hundred bucks each, and it was ridiculously nice of them to keep sending them to me as long as they did. So I really like Brian and the GI Joe Club crew, even though I’d never had a chance to meet them in person. Since my uncle passed away, and largely due to the persuasion of Buddy Finethy, I did start attending JoeLanta (now ToyLanta), the second-biggest GI Joe show, and something that has become an annual must-go event for me. Now Mel and I are free to travel, and we’re having a blast doing so. In 2016, Hasbro pulled the license for the GI Joe Club and the Convention from Fun Publications, and it looked like I’d never get the chance to attend one of their official conventions. They rotated cities, and were usually too far away for me to get to them. However, that year, in Denver, they got a two-year reprieve, and this year, the final-ever official convention, was slated to be held in Chattanooga. Mel and I had made Chattanooga our resting place on the way to ToyLanta for the last couple of years, so we knew it was within easy driving distance. We prepared to undertake the rather insane schedule of attending WonderFest USA in Louisville the first weekend of June, The Marx Toy Convention in Wheeling the third weekend of June, and the GI Joe Convention in Chatanooga the fourth weekend of June. Sanity prevailed, and we decided to skip WonderFest this year. Still, our itinerary had us arriving home from Wheeling on Sunday, and then hitting the road to Chattanooga the following Wednesday. However, there was one other change of plans. Originally I wanted to go all-out for the last official GI Joe Convention and purchase the deluxe admission with the convention set and after-hours events and mingling and casino nights, early admission and all the works. But I discussed this with my buddies at ToyLanta in March, and they told me that I’d be able to see everything I wanted to see in four hours. I’m not a gambler, and casino night didn’t really appeal to me, and the entire thing, buying attending packages for me and Mel and paying the very high hotel rates to be near the convention would have been a real pain in the wallet. I didn’t think I would get that much out of going for the full package this year. See, the Official GI Joe Club caters to all versions of GI Joe, but focusses mainly on the 3 3/4″ Real American Hero incarnation of GI Joe. It’s a fine toy, but it means nothing to me. I collecting 12″ GI Joes, and I collect the guys with fuzzy hair and Kung Fu Grip and all the cool adventure trappings. For years, I’ve been burned out on the military aspects of Joe. 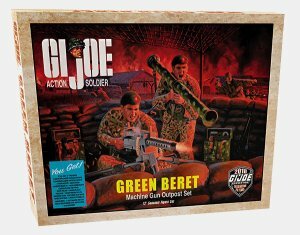 So the convention set for 12″ collectors, a two-man Green Beret Machine Gun post, held little interest for me, and the nearly four hundred dollar price tag kept it from being even an impulse buy. It’s a fantastic set, if you’re into the military stuff, but I’m not, so I will admire it from afar. With that, we decided to just go in for one day of the show. Mel already had her time off blocked out for the whole trip, but now I’d decided that I’d be fine just popping in to the Convention on Saturday morning, getting some cool stuff from the club store, poking around the dealer’s room, and getting out of dodge. I did hope to meet Brian Savage and Lanny Latham, whom I’ve only known online for over twenty years. That decision left us with a few days to meander down to Chattanooga, so Mel and I decided to have fun and do things we don’t normally do when we travel, mainly I’m talking about tourist-y crap. We hotel-hopped our way down, staying at a different place every night (all the better to rack up rewards points). 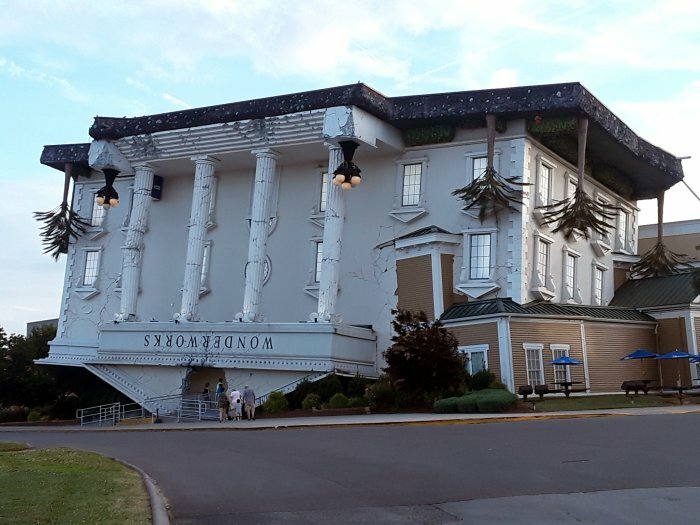 I found an outlet mall near Pigeon Forge, so we blundered into ground zero for goofy tourist attractions. Across from our hotel was a Hard Rock Cafe. To the left of that was a giant upside-down mansion. Immediately to the left of that was the Hatfields-McCoys goofball dinner theater. And of course, that was next door to the Titanic. This is what we saw as we approached our first hotel. 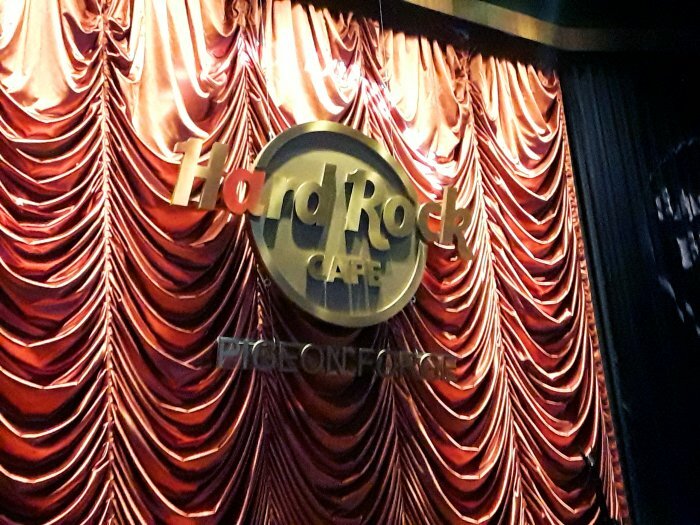 We had dinner at the Hard Rock Cafe. It was our first time. The experience was as delightfully horrible as you would expect. Nowhere else on the planet can the words “Hard Rock” be used in conjunction with Taylor Swift and Katy Perry. The memorabilia was very country-centric, with this being Tennessee and all. We turned our brains off and had a blast. It was hokey as hell, but fun. 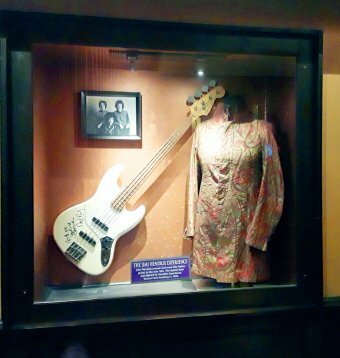 To be fair, while the place was loaded with memorabilia from Chet Atkins, Ronnie Milsap, Porter Waggoner and other “not-exactly-hard-rock” types, there was some cool stuff, like the Nehru jacket that belonged to Jimi Hendrix (along with a bass guitar, for some reason). That’s it to the right. 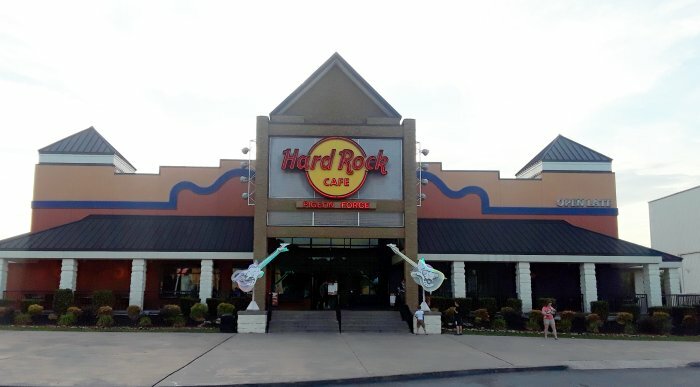 For what it’s worth, The Hard Rock Cafe delivered on it’s mission to bring you only-slightly overpriced meals with a whole bunch of cool things to look at while you eat. They have a stage, which was not in use while we were there. And it looked pretty cool from the outside. We skipped the other attractions in that stretch. Turning our brains off enough to enjoy the Hatfields-McCoys Dinner Theater might result in organ failure, so we gave that a pass. The next morning we checked out of the hotel and hit the Tanger Outlets, and indulged in retail therapy until the place got crowded and we decided to leave before we declared war on all humanity. On our way to our next stop we hit a few tourist traps along the way. 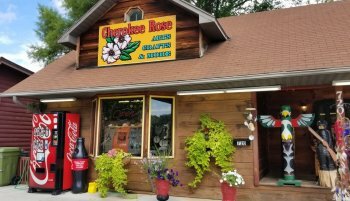 At Cherokee Rose (seen right) Mel got some blue moccasins while I got a Tomahawk (toy) and a cowboy-ish hat (real). We were having a blast and didn’t have to keep to any schedule. It’s a cool little store, filled with cultural appropriation and neat stuff. 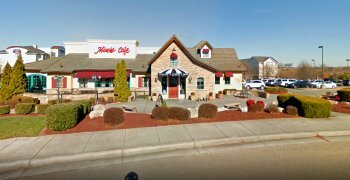 Our next stop was a hotel near the sprawling Turkey Creek Mall in Knoxville for some additional retail therapy, and dinner at the wonderful Mimi’s Cafe (below), which is a nice local restaurant down there, and is in no way related to the dingy gambling dens that bear that name up here. We had fun, and rested for the night. The next morning we checked out of hotel number two and backtracked a bit up Interstate 75 to check out the Knoxville McKay’s. McKay’s is a giant bookstore chain. I don’t mean that it’s a giant chain. It’s a small chain of giant bookstores. There are five or so of them scattered around Tennesee and North Carolina, and they have to be seen to be believed. 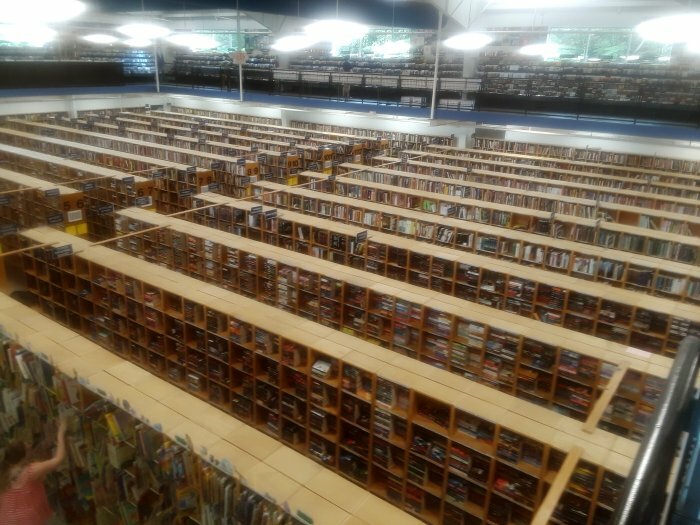 I mean, this place was huge, filled with used books, vinyl, action figures, comics, electronics and more. If you ever have a chance to stop in one, do it. Just budget your time carefully because you can easily spend hours here and just scratch the surface of all the treasures within. 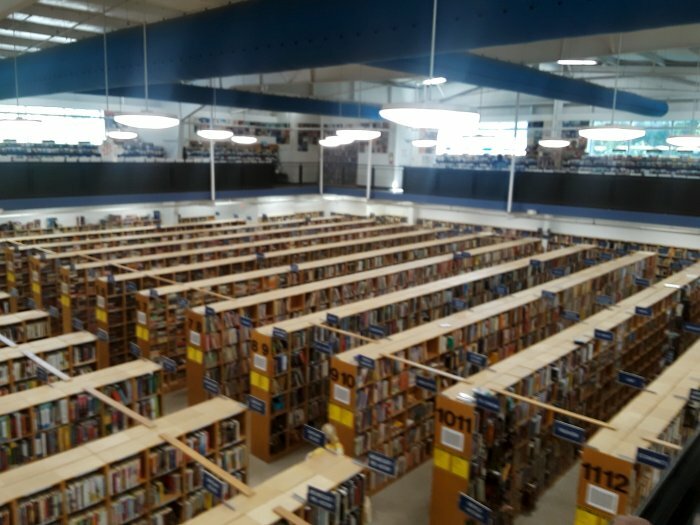 The thing is, this really doesn’t give you a full idea of how vast this bookstore is. Seriously, these photos don’t even show the loft. 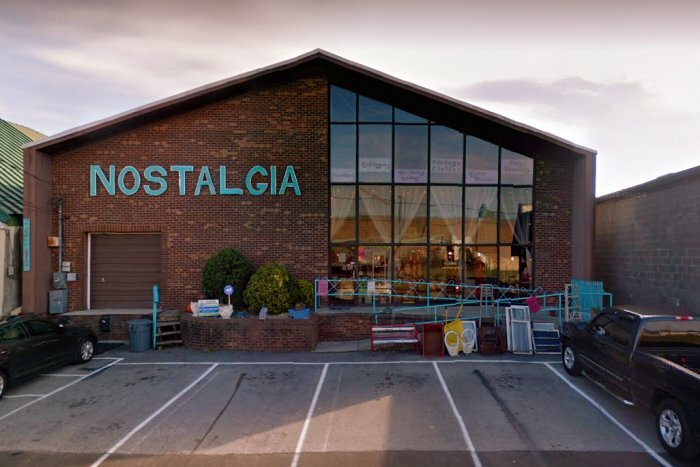 After McKay’s, we trundled on a bit, using my new smartphone to navigate, and found a cool antique shop called “Nostalgia,” that had some nice pop-culture items. Mel also got to hang out a bit with their store kittys, Felix and Oscar. Unassuming, but packed to the rafters with coolness. 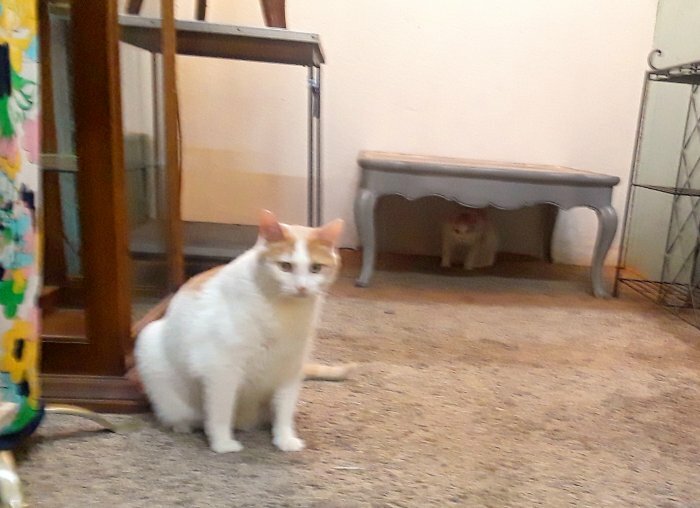 Felix, and Oscar (under the bench), the store kittehs. And with that, I have to break this travelogue in two. 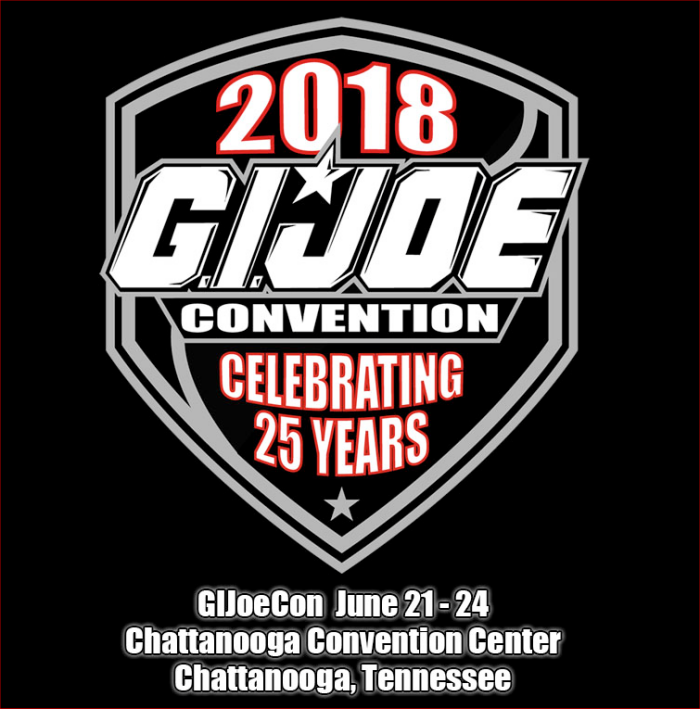 Here, I set out to write about attending the last ever GI Joe convention in Chattanooga, and I have to take a break before we even get out of Knoxville. Tune in for part two of this wordy epic next week. For now, I have to get ready to hit the road for the Kentuckiana GI Joe Toy Expo. That’s the PopCulteer for this week…check back for our regular features. 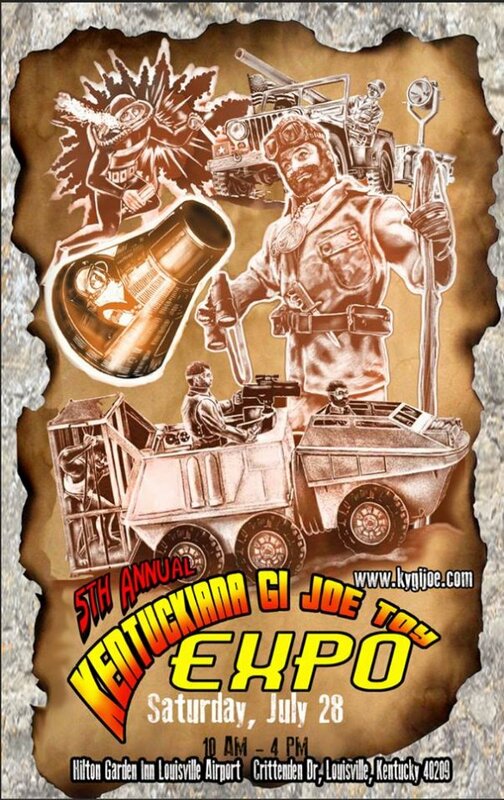 Kentuckiana GI Joe Toy Expo This Weekend! Your PopCulteer is once again hitting the road for a cool toy show. 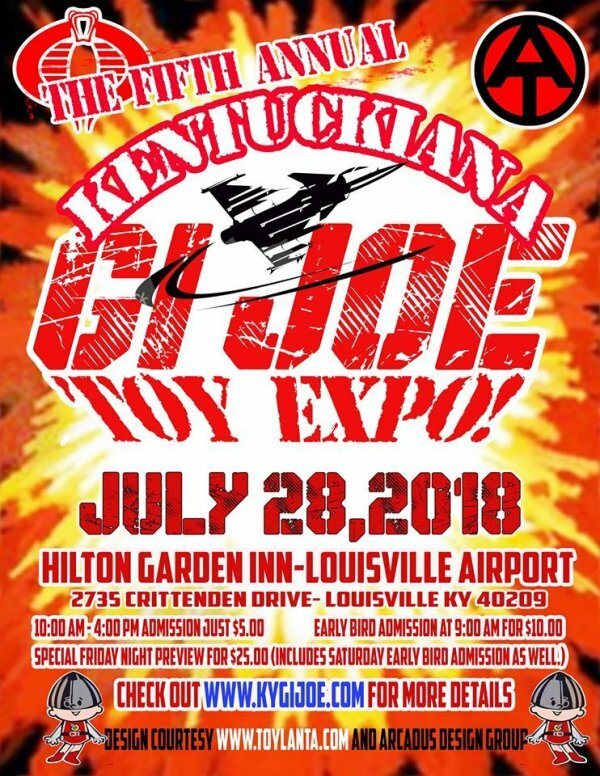 This time it’s a quick trip to Louisville for the fifth annual Kentuckiana GI Joe Toy Expo. It’s Saturday at the Hilton Garden Inn Louisville Airport. This will be our third time visiting this growing show, and it’s always a blast. Just look at these two graphics for The Kentuckiana GI Joe Show that Buddy Finethy made, and then watch the video I made for last year’s show. I probably won’t make a video this year because I’d like to go as a civilian and not have to worry about editing video when I get home. I will bring you some photos next week, though. I promise. Progress Is In The AIR! Thursday at 3 PM yours truly hosts two hours of a fantastic mix of new and classic progressive rock on Prognosis. Prognosis can be heard every Thursday at 3 PM, with replays Friday at 7 AM, Saturday at 8 AM, Tuesday at 8 PM and Wednesday at 10 PM, exclusively on The AIR. The Marx Toy Museum, in Moundsviille, WV, closed in June, 2016, but every year since its closing, the museum’s curator, Francis Turner (right, with an inset of Big Loo), has agreed to reopen it during the annual Marx Toy Convention, which takes place at the Kruger Street Toy and Train Museum in nearby Wheeling. Francis founded the museum, which was created to share his comprehensive collection with the public. His original goal was to preserve the legacy of Marx Toys and their founder, Louis Marx, by trying to find at least one example of every toy they made. For sixteen years The Marx Toy Museum did just that. Since the museum closed in 2016, Francis has slowly been selling off pieces of his massive collection, and his annual open house sale is a chance for collectors to own a part of history. 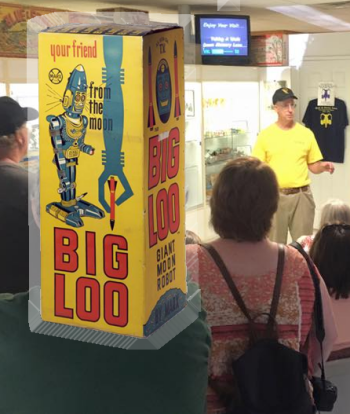 In 2017, the History Channel show, American Pickers, visited the museum, and made a star out of one of its exhibits, the only sealed Marx Big Loo known to exist. In this clip, recorded last June, PopCult visits the museum, and finds out what happened to everyone’s giant robot pal from the moon as Francis Turner explains The Ballad of Big Loo. It’s always a treat to get to visit the Marx Toy Museum, and it’s one of the perks of being a regular attendee at The Marx Toy Convention. Francis and the rest of the Turner family are always so welcoming and the only sad part is that there wasn’t enough public support to keep the museum open on a permanent basis. There are plans in the works for part of the Marx Toy Museum collection to be loaned out to other museums in the future, and we’ll keep you updated on the details when that happens. Wednesday marks the middle of the week, and we have more cool programming to prop up your spirits on The AIR! Tune in to the website, or on the embedded player below for this week’s slate of stimulating programs. Our new morning line-up on Wednesday continues with The Swing Shift at 7 AM, followed by Prognosis at 9 AM, Psychedelic Shack at 11 AM and an encore of a classic Curtain Call at Noon. We are re-presenting classic episodes of On The Road with Mel at 1 PM. At 1;30 PM, Life Speaks to Michele Zirkle presents the conclusion of Michele’s discussion with Pete Yeaple, an advocate and podcaster specializing in the use of medicinal marijuana and alternative healing as a means of replacing the products of Big Pharma. Pete relates his own story about how marijuana and Reiki healing helped him kick an over-reliance on prescription meds. 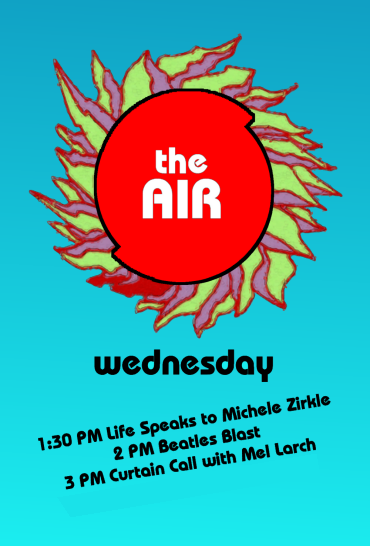 Life Speaks to Michele Zirkle can be heard Wednesday at 1:30 PM and 7 PM, with replays on The AIR Friday at 9:30 AM and Sunday at 7 PM. At 2 PM Beatles Blast presents one-hour audio collage of interviews with the lads from Liverpool. Beatles Blast can be heard Wednesday at 2 PM, Thursday at 11 AM and 9 PM, Friday at 5 PM, and Tuesday at 9 AM. At 3 PM Wednesday on Curtain Call, we re-present both parts of Mel Larch’s recent two-part, not-safe-for-work, salute to comedy in musical theater, with tunes from Book of Mormon, Avenue Q and other hilarious shows. At 7:30 PM, we have gone into the AIR Archives and unearthed the missing seven episodes of Word Association with Lee and Rudy. These shows were misplaced on a stray hard drive and have not been heard in more than two years. We’ll bring them to you over the next seven weeks, and hopefully follow these with some new shows. This week you can hear Lee Harrah and Rudy Panucci ramble about Oddball Comics, saluting the comic book publishers of the past, like Charlton, Gold Key, Warren, and books like CARtoons Magazine and Space: 1999. Today at 10 AM we are bringing a terrific new episode of Radio Free Charleston, opening with brand new music from Bon Air, and continuing with great stuff from our archives, including Holly and the Guy, Feast of Stephen, Stark Raven, Farnsworth and more. We’ll post the playlists at the bottom of this post, after the jump. At 2 PM it’s time for Nigel Pye and his psychedelic mixtape program, Psychedelic Shack. This week we get the second new episode of Psychedelic Shack in its one-hour format, bringing you Nigel and his weekly hour of mind-blowing psychedelic music, presented as a nearly-hour-long digital mix. 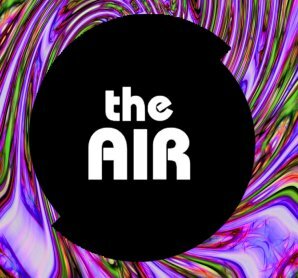 In this week’s show you’ll hear Donovan, Flaming Lips, Small Faces and more, and Nigel sent us a playlist this week, so you can see it below the jump. At 3 PM The Swing Shift celebrates its fiftieth episode with a one-hour blast of the host (that would be me) playing his all-time favorite Swing tunes from artists like Joe Jackson, Royal Crown Revue, Benny Goodman, Brian Setzer Orchestra and more. See the playlist below.